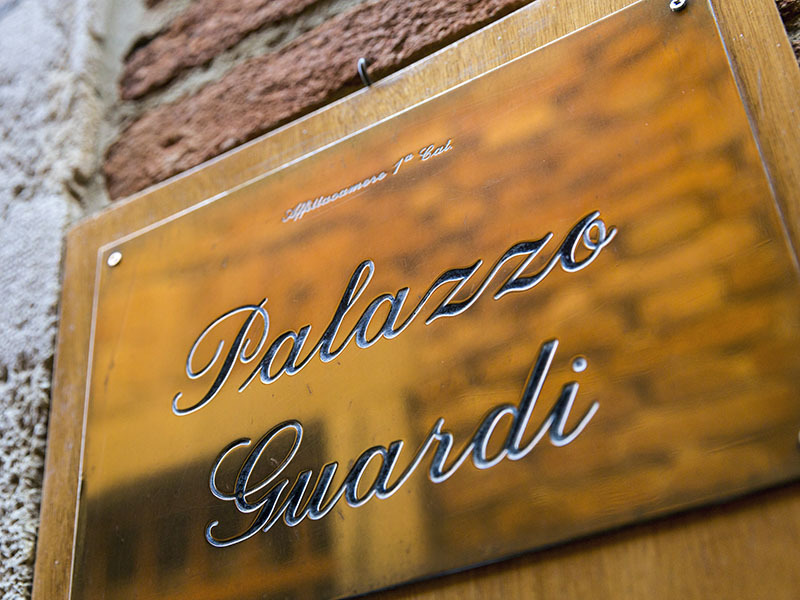 The Palace is named after the celebrated Venetian painter Francesco Guardi, the author of some invaluable scenes of the seventeen hundreds of the this lagoon city, today housed in the Galleria dell’Accademia, situated just a few steps from our Residence. It is said that some of these works were inspired precisely by the splendid panoramic view that you can enjoy looking out from the Palazzo Guardi windows. This exclusive and luxurious Bed & Breakfast in Venice is composed of two buildings, each characterized by a style that is exquisitely Venetian. In the main building there is a magnificent lounge enhanced by lampshades in Murano glass. You can admire, through the windows, the San Trovaso Canal and the historic Squero di San Trovaso, the legendary workshop where today craftsmen still construct the famous Venetian gondolas. In the lounge there is also an area dedicated to Internet enthusiasts who will find a PC where they can link up to the net at any moment of the day.